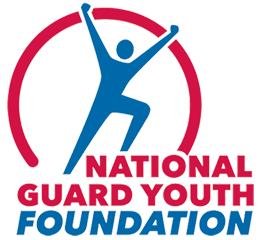 ALEXANDRIA, Va. – The National Guard Youth Foundation (NGYF) congratulates Ms. Arnelle Adams, a graduate of the Wisconsin ChalleNGe Academy in Ft. McCoy, Wisc. for being selected as the January Cadet of the Month. Ms. Arnelle Adams will be awarded a $1,000 scholarship from Oshkosh Defense, a generous supporter of NGYF and the ChalleNGe Program. Before the ChalleNGe Academy, I was in the mindset of giving up on everything and started to not care anymore. I had no self-confidence and could see my attitude getting worse. I have a family back home that I felt wasn’t very supportive of me going to school. I was taken out of public school to attend home school in my middle school years. I did not receive the instruction I needed in the home school setting and fell behind in my education. I was willing to leave all I knew behind, including my family and friends, to pursue my education. I felt the Academy would help me get my life back on track and start fresh so I made the decision to move to Wisconsin from Tennessee to live with my aunt and join the ChalleNGe Academy. Since graduation, I have obtained full time employment and I am attending college as a full-time student. I obtained my driver’s license and have been offered a promotion as a manager. I recently started an internship at a daycare center helping the lead teacher. I have also been volunteering throughout my community. I am so appreciative of the ChalleNGe Academy staff for all of their help. If it wasn’t for ChalleNGe, I wouldn’t be where I am today and wouldn’t be able to pursue my academic dreams. I am now looking forward to my bright future ahead of me!